Easter is fast approaching and it is the oldest and most important Christian festival and very important for kids. 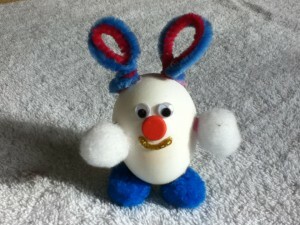 Eggs are ancient symbols of new life and Easter celebrations are not complete until the kids make an Easter egg craft. 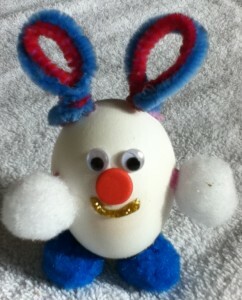 This time, we decorated an egg to make a cute bunny. 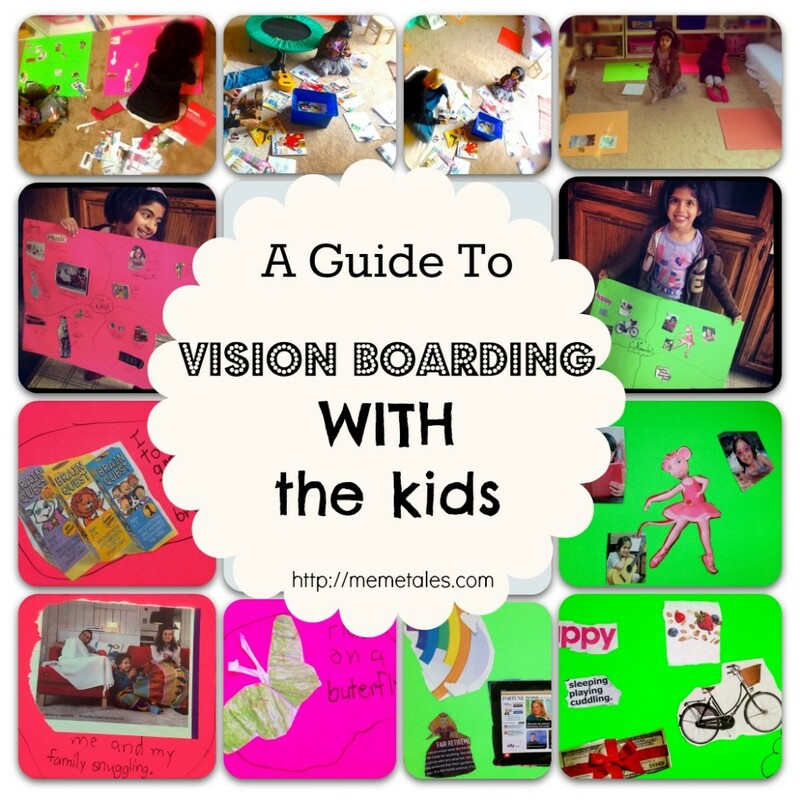 What you’ll need : Boiled Egg, Pom- Poms, Googly Eyes, Chenille Stems, Glue, Glue Glitter & foam Sticker. 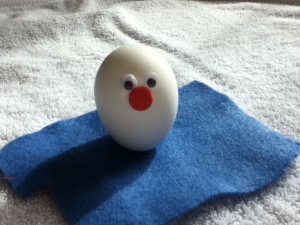 Step 1: Glue googly eyes on boiled egg and stick foam sticker for nose. 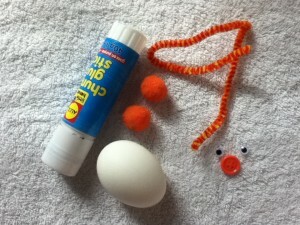 Step 2: Glue pom-poms for hands and feet. 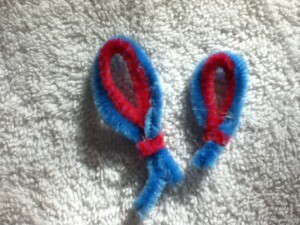 Step 3: Make bunny ears with chenille stems. Step 4: Glue Bunny ears and draw bunny smile with glue glitter. 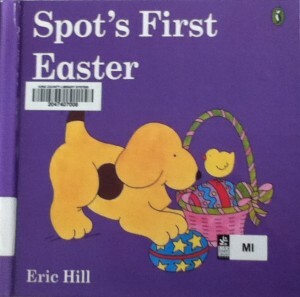 “Spot’s First Easter” by Eric Hill is one of my as well as kids favorite book. In this book kids will enjoy how Spot and his friends & family find all eggs in their house. 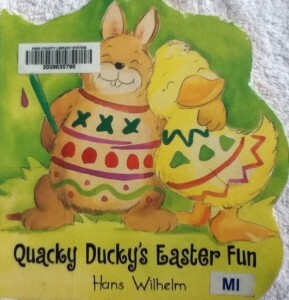 “Quacky Ducky’s Easter Fun” by Hans Wilhelm is a very colorful Easter book for kids. 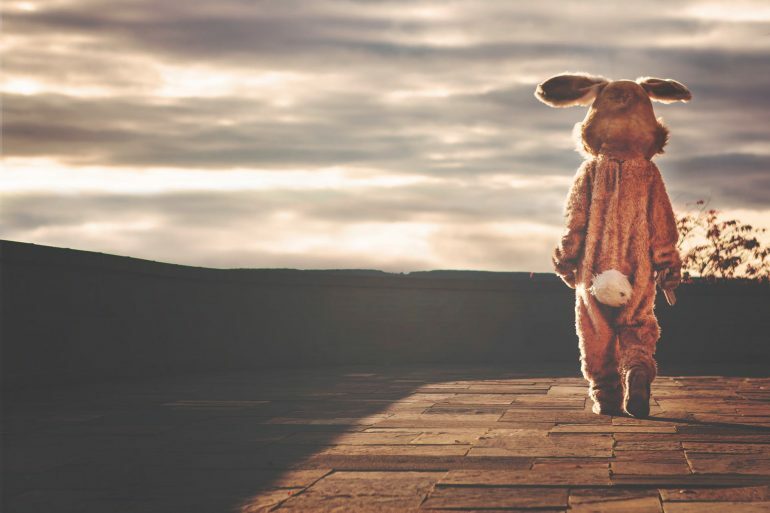 In this story, the Easter bunny has too many eggs to paint so he asked Ducky for help. 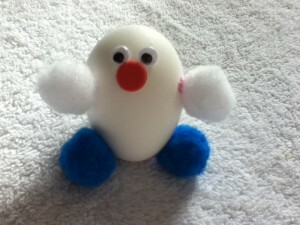 Kids will enjoy how Bunny and Ducky paint each other to become as pretty as painted Easter eggs.